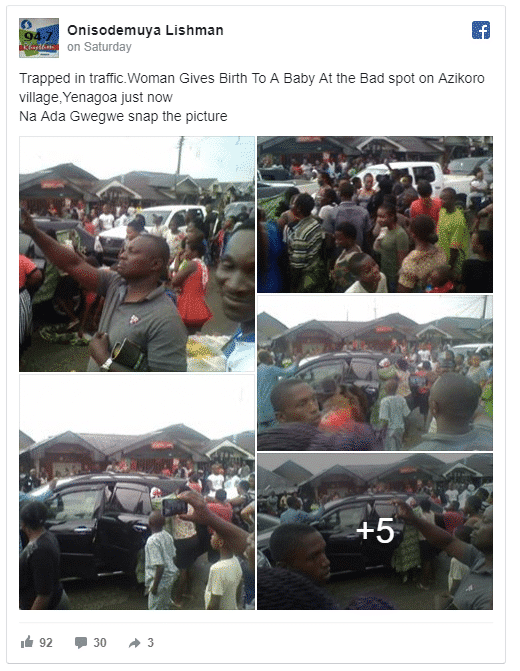 In one of the worst cases of traffic jam in Nigeria, a Pregnant woman reportedly given birth in a car on her way to hospital as a result of terrible traffic on the road. A Facebook user identified as Onisodemuya Lishman allegedly shared on her page about a pregnant woman who gave birth inside her car while stuck in traffic. 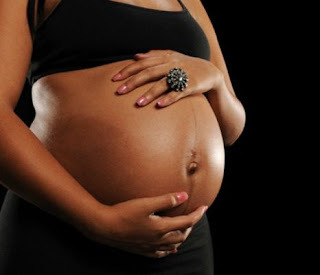 The pregnant woman who got stuck at Azikoro village in Yenegoa was helped by some passersby and community people who had found out that she was in labor. The woman delivered her child successfully as she was later taken to a hospital for further treatment. This is not the first time this is happening as some time last year a woman reportedly had a baby while on a BRT. Passengers of the commercial bus allegedly came down from the bus while the women assisted her in the delivery.